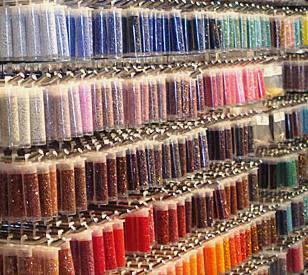 Oh, we love those size 15 seed beads, yes we do. Local glass bead artisan Robbie Gentry http://www.heirloomsinglass.com/ found a use for them yesterday when I offered them to her to try out as spacers inside her hand made beads to keep the wobble away. What do you know? They work for her better than Delicas. Don’t know the difference between a Delica and a size 15? Our expert staff does, and a whole lot more, too. 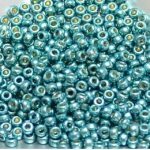 If you do know what they are, then you’ll love to hear we just added over 30 new colors to our already awesome selection of these tiny little beads.